And I found one! 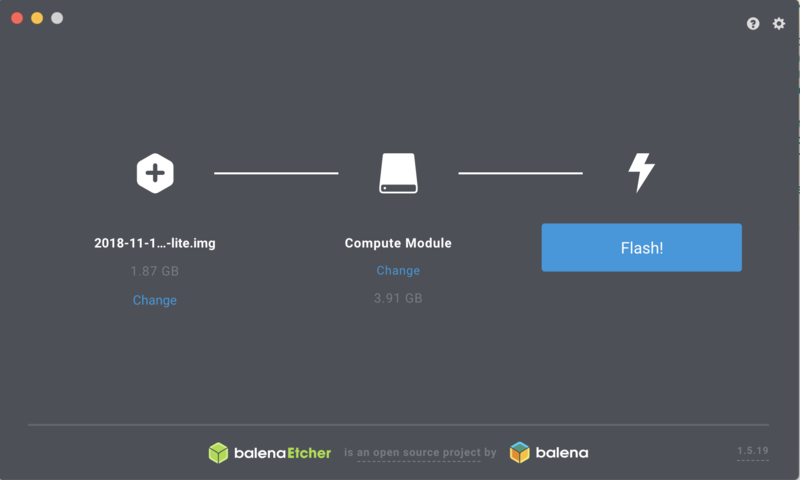 The compute module will present as a mass storage device when connected to your computer via the USB Slave Port which can be used as a target to which a Raspbian image directly onto using a tool called Etcher. Much, much more streamlined and quicker. 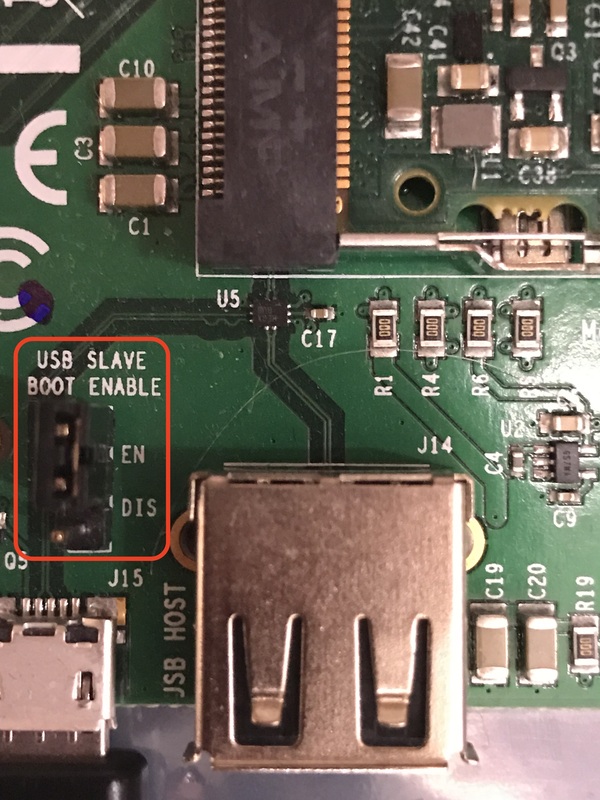 Insert a the MicroUSB end of the cable into the port lablelled "USB Slave"and the other end into your computer's USB port. Picture below shows USB-C adapter attached for users with only USB-C ports (new Macbooks). Voila. 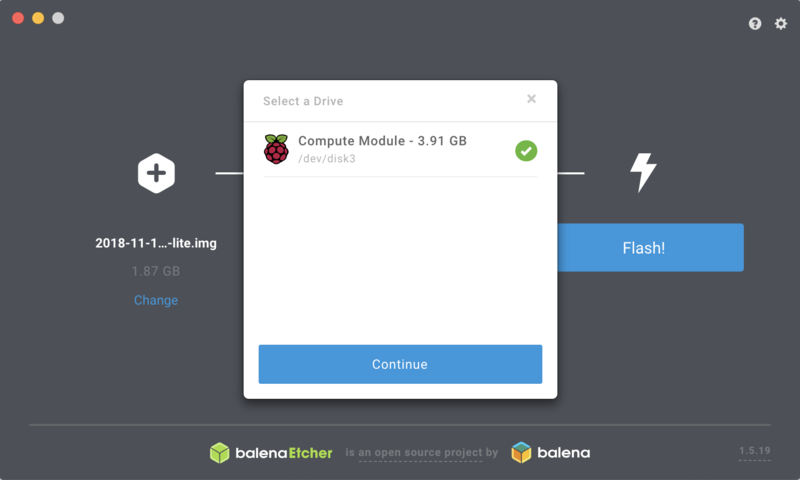 Raspbian is now installed on your Compute Module's eMMC storage. 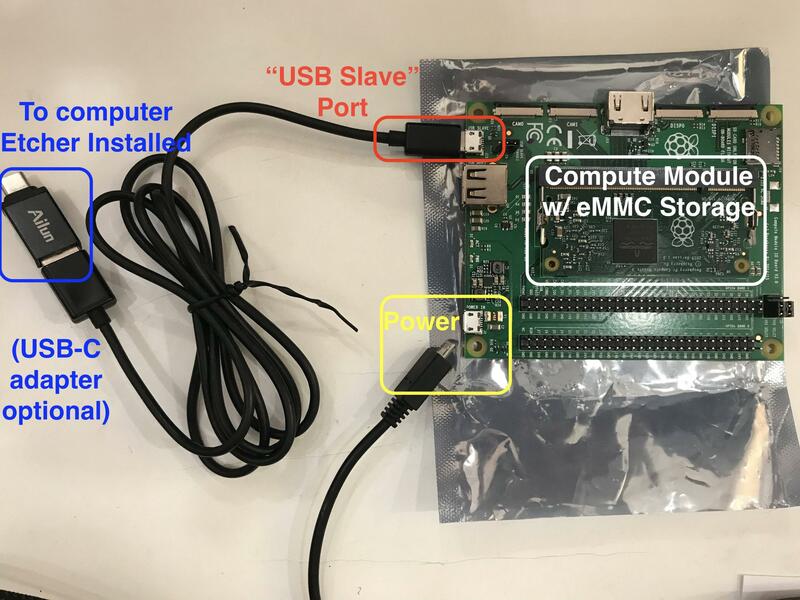 Remove the MicroUSB cable from the "USB Slave" port and the compute module can now be booted via the Compute Module IO Board by just inserting the power cable into it into the Micros USB "Power In" port. Note that whatever the size of your eMMC storage- 8/16/24/32 GB - the file system will be expanded automatically to the maximum extent possible.